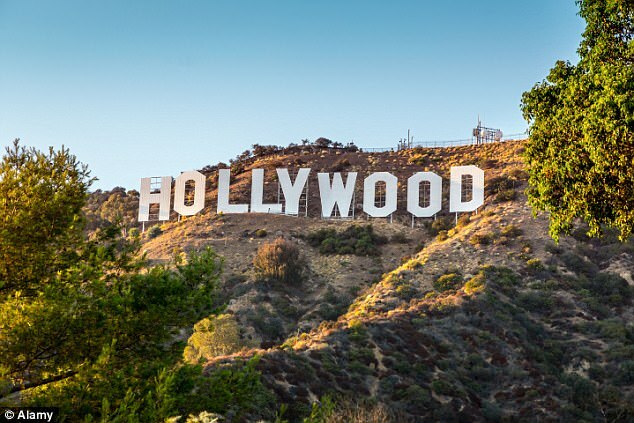 Apple's revenue from its app Store is set to overtake overtake Global Box Office revenues this year, it has been predicted. The prediction, from Asymco, says people will spend $100m a day on apps by the end of 2018. And is set the 'app economy' is still growing - with growth rates suggesting the iOS economy will achieve the half trillion revenue rate in 2019. 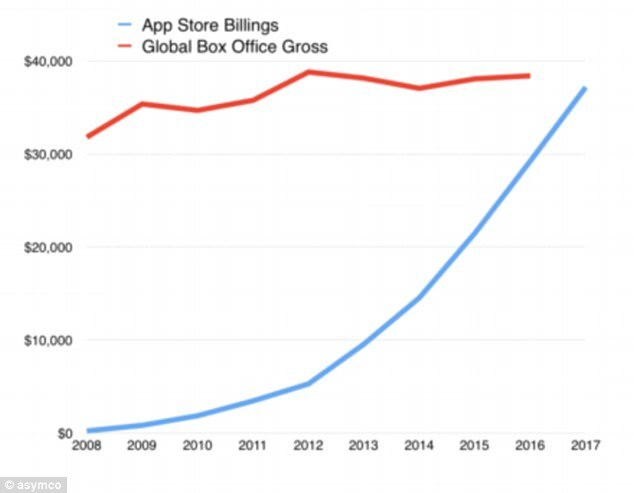 Asymco analyst Horace Dediu predicts people will spend $100m a day on apps by the end of 2018, and Apple's App Store alone will overtake Global Box Office revenues this year. Apple said earlier this year customers around the world spent $300 million in purchases made on New Year's Day 2018. During the week starting on Christmas Eve, a record number of customers made purchases or downloaded apps from the App Store, spending over $890 million in that seven-day period. 'We are thrilled with the reaction to the new App Store and to see so many customers discovering and enjoying new apps and games,' said Phil Schiller, Apple's senior vice president of Worldwide Marketing. 'We want to thank all of the creative app developers who have made these great apps and helped to change people's lives. The latest research, by Asymco's Horace Dediu, suggest the figures are only the tip of the iceberg for Apple. 'I've made comparisons before with the app business being bigger than the film industry, and much bigger than the music industry, he wrote. 'This was considering Android revenues and iOS combined as 'app revenues'. Asymco also said that the economic impact of the app store goes far beyond app revenue. 'There are not only free apps but also many apps which are front-ends to complex services which are monetized in various indirect ways,' Dediu wrote. 'Facebook, Twitter, Linkedin, Tencent, YouTube, Pandora, Netflix, Google, Baidu, Instagram, Amazon, eBay, JD.com, Alibaba, Expedia, Tripadvisor, Salesforce, Uber, AirBnB and hundreds of others are all 'free' apps enabling hundreds of billions of dollars of interaction none of which are captured in the App Store revenue data. Based on assumptions of revenue rates for mobile services and iOS share of engagement, Deidu said his estimate of the economic activity on iOS for 2017 is about $180 billion, and including hardware sales, the iOS economy cleared about $380 billion in revenues over the year.